In conjunction with our Winter/Spring 2018 exhibitions Black Pulp! 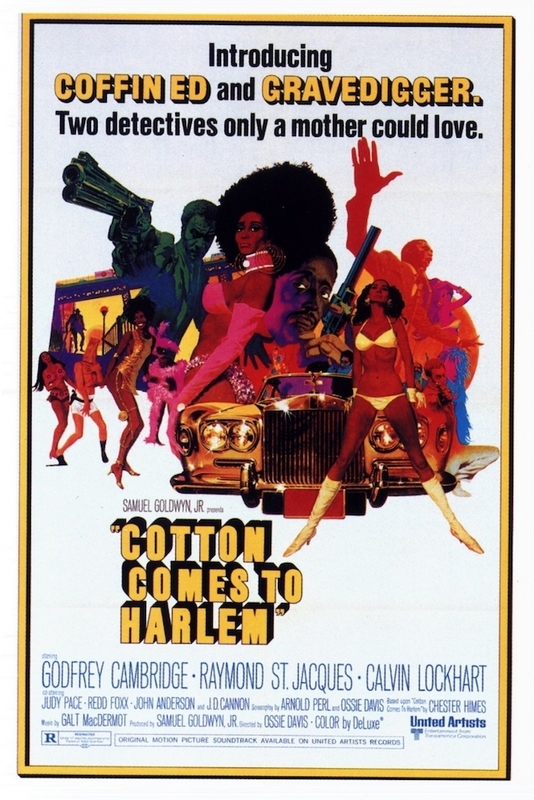 and Went Looking for Beauty, AAMP presents a screening of the 1970s classic, Cotton Comes to Harlem. Ossie Davis makes his directorial debut a smashing success in the action crime comedy Cotton Comes To Harlem. Coffin Ed Johnson (Raymond St. Jacques) and Grave Digger Jones (Godfrey Cambridge) are neighborhood plainclothes cops who keep tabs on the residents and keep a lid on trouble. The Reverend Deke O’Malley (Calvin Lockhart) is a crooked, money-laundering preacher under suspicion by the detectives. Over $87,000 in cash is hidden in a bale of cotton, money Deke has bilked from the trusting community. This screening will be followed by post show discussion, details to be confirmed.